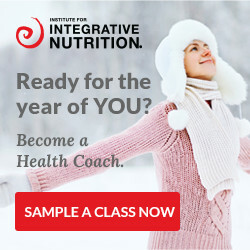 The Institute for Integrative Nutrition is an online program offering a one year course to become a health counselor. At times, they use the term ‘health counselor’ and other times you will see ‘health coach’. Their health coach training program began in 1992 and is focused on holistic nutrition. The Institute for Integrative Nutrition prides themselves on being the largest nutrition school in the world. This school provides education on health coaching, nutrition, healthy lifestyle choices and business management. They provide business counseling, as well as assistance getting your coaching website up and running within about 6 months of the program. There is also support offered as you make the transition to a career in health and wellness coaching. Sample a Class here for Free! Welcome to Health Coach Certifications!